Hartmut has studied English Literature and Language, German Literature and Language, Drama, Communications, Information Science, Media Studies, History, and Political Sciences at University of Tübingen, Goldsmiths’ College, London, and Freie Universität Berlin. He holds an MA in Information Science, German Literature, and Political Sciences from Freie Universität Berlin. He also obtained a certificate in media research and media pedagogics from the same university. At Georgia Institute of Technology he completed his PhD in Digital Media with a thesis on theory and practice of Interactive Digital Narrative. The thesis chair was Janet Murray, with Jay Bolter, Celia Pearce, Maads Haahr, and Ken Knoespel committee members. At Georgia Tech, he was awarded the Ivan Allan College Dean's fellowship and the the "Class of 1969 Teaching Scholars" award. 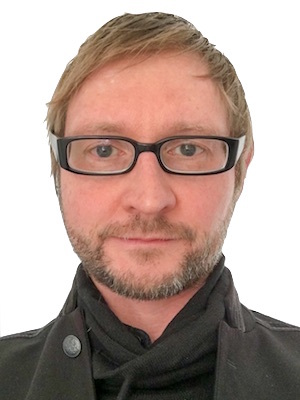 Currently, he is Professor for Interactive Narrative Design at HKU University of the Arts Utrecht, researching Interactive Digital Narrative in Video Games and other emerging digital formats. Previously, he held the position of Assistant Professor in Mass Media Arts at the University of Georgia, and was a lecturer at Georgia Tech's School of Literature, Communication, and Culture. He also worked as a journalist, lecturer, book author, trainer, programmer, administrator and technical consultant. He was the CTO and lead programmer for the startup company designnet.de. Hartmut wrote over 150 articles on digital technology and published two computer books. He taught over 40 courses on topics ranging from introduction to basic computer usage to video production and interactive narrative at FU Berlin, Tübingen University, and Georgia Tech. His list of clients as a consultant on media-related projects include Stanford University in Berlin, ekuinteractive, Virtual College Berlin, and the Institute for Museum Research in Berlin.